To login to the Customer Support Download Center, enter your PHAZIR or microPHAZIR Serial Number. 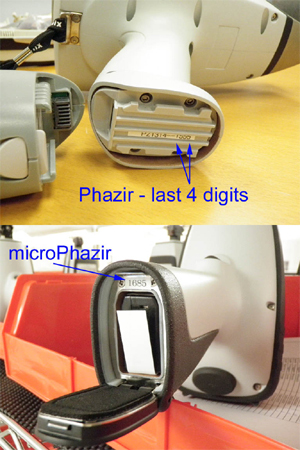 The PHAZIR and microPHAZIR Serial Numbers are printed on a label affixed to the inside of the instrument. See the images below for help.